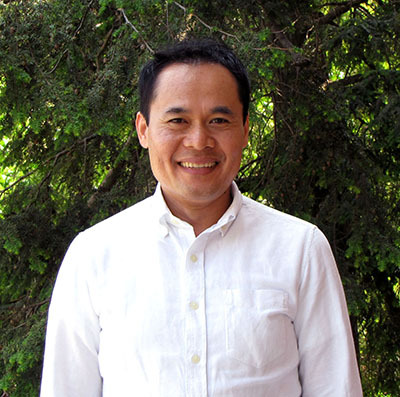 Sela Sar, associate professor of advertising and director of advertising graduate studies, has been elected vice president of the American Academy of Advertising (AAA) for 2019-2020. Sar will manage AAA’s annual conferences in March 2019 and March 2020. In this leadership position, he will also serve as a member of the executive committee of AAA. “I’m excited about joining the executive committee, to be working with such a wonderful group of people, and exchanging research ideas,” Sar said. He has been an active member of AAA since joining in 2004, having served on the research and award committees, and currently serving on the publication committee. Sar joined the Illinois advertising faculty in fall 2013. He researches the effects of mood, emotions, perceptions, and memory on information processing in advertising. He is also interested in examining how emotional ads are being shared on social media using big data and deep learning models to predict their effects on people’s sharing behaviors. In 2016, he was the head of the advertising division of the Association for Education in Journalism and Mass Communication. The University of Illinois has a history of leaders in AAA. Michelle Nelson, professor of advertising, is a past president of AAA, as are several alumni from the College of Media’s Institute of Communications Research.